Europa Universalis is like a very complicated version of Risk. The game is more about diplomacy more than anything. However, learning the art of conquest can be very time consuming. Take a look at the Guide, FAQ and Achievements list for advice and strategy if you are new to the game. 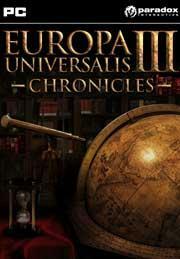 Here is a list of mods developed for Europa Universalis III and some quick easy access to the downloads. Many mods are usually hosted in forums. Mods may only work on certain versions. Read installation instructions carefully. Mods a are generally just placed inside the mods folder in your Europa installation path. Ask questions for assistance. Civilization Universalis - A mod paying homage to "Civilization" by making the player begin with one province to expand from. Magna Mundi - The most popular mod adding new features to the game to make it more difficult and realistic. Random Map - Allows you to create random maps for Europa Universalis. Rising Nations- This is THE mod that fills the gap between NA and the year 2020, with possibility to play till 9999. There are no Permanent Terra Incognita (PTI). Start your real world empire now! - Choose one of hundreds of new nations from 1399 till today! Terra Nova - Added timeline, many additions to vanilla gameplay. Whole World - New countries, provinces, events and more! Master Mod List - A master list of mods for Europa Universalis 3! Requirements are according to Steam versions.